Throughout Barack Obama's search for a running mate, Joe Biden has always been hiding in plain sight, a man who appears supremely qualified to be vice president of the United States. Biden has been on the national stage so long that he was able to mount two credible runs for the presidency himself an amazing 20 years apart, in 1988 and 2008. He has served as chairman of both the Judiciary Committee and the Foreign Relations Committee, traveling the globe to meet world leaders and to be directly involved in almost every major international and domestic debate of the last two generations. He has excelled as both a speaker and a debater. His Irish-Catholic heritage makes him a demographic dream in appealing to swing voters. He is both a Washington insider and a hero to working-class Americans and labor union leaders, in part because of his rhetoric, but also because of his own middle class upbringing. He has mastered the art of the network Sunday show television appearance as well as the classic vice-presidential skill of savagely attacking his political opponents with both a smile and the use of casual, kitchen-table idioms. Balanced against all of those unmatched qualifications is one quality that has afflicted Biden for as long as anyone can remember: a persistent tendency to say silly, offensive, and off-putting things. Over the next few days (and, likely, weeks) some of Biden's ungreatest hits of gab will be recycled by the media and Republicans aiming to take the luster off Obama's choice of running mate. The central mystery for those who have watched Biden over the years is this: how could someone so smart, experienced, and articulate be his own worst enemy by saying just the wrong thing at just the wrong moment? Beyond the verbal gaffes during both of his presidential campaigns, Biden stunned his supporters, and delighted his opponents, during the Supreme Court confirmation hearings of John Robert and Sam Alito, President Bush's conservative nominees for the high court. In preparing for the public sessions, Biden's advisers warned him repeatedly not to let his verbose ways dominate the proceedings. Be crisp and clear and concise, they told him over and over during practice sessions. And yet when the lights and cameras were on, Biden was at his very worst  long-winded, self-involved, and off message. Surely, as the Obama campaign unveils Biden to the world, they are little concerned about his ability to surmount the primary hurdle that any potential vice president must get over, that Biden is ready to be president from day one by virture of experience, temperament, and judgment. But the campaign will just as certainly be coaching him on his initial speeches and media appearances. 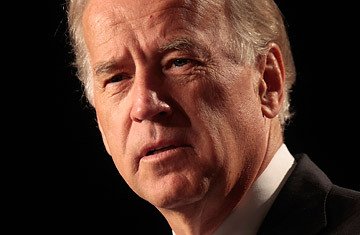 Once again, Joe Biden will be told to keep it short and limit the use of the pronoun "I." Those who know Biden well, who have watched him and worked with him over the years in the Senate and on the campaign trail, know two things with absolute certainty. One, it will be exceedingly difficult for Biden to carry out those instructions. And, two, if he is able to do as he is told regarding his renegade mouth, he will be a smash hit as Obama's running mate.